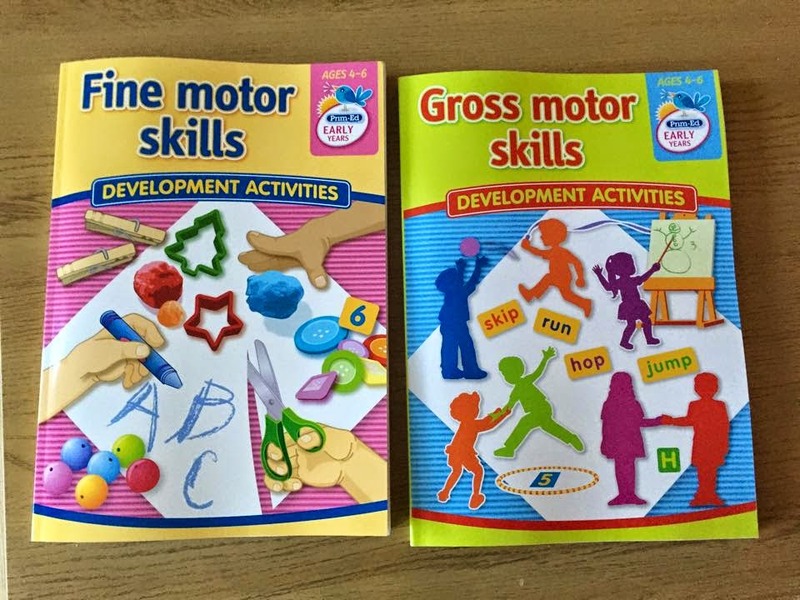 The above two books go hand in hand to support the development of gross and fine motor skills. 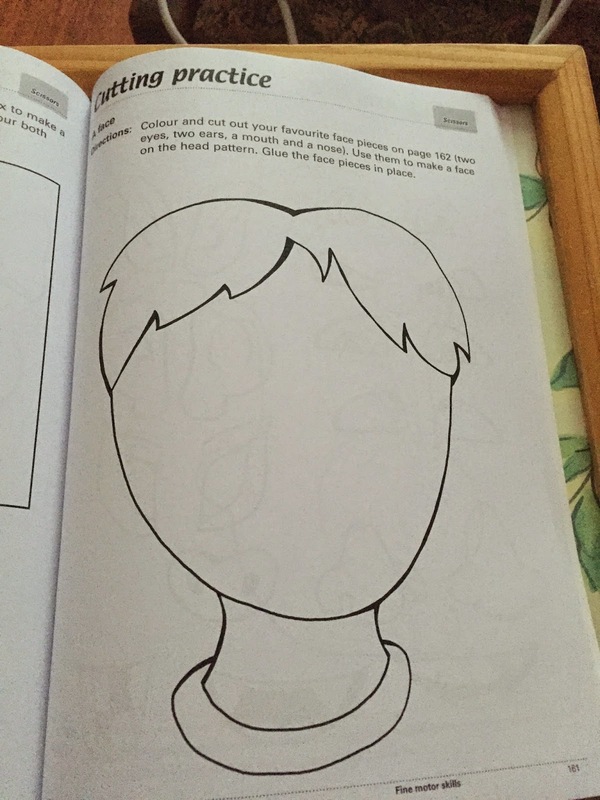 This review is on the ‘Fine Motor Skills’ Book. 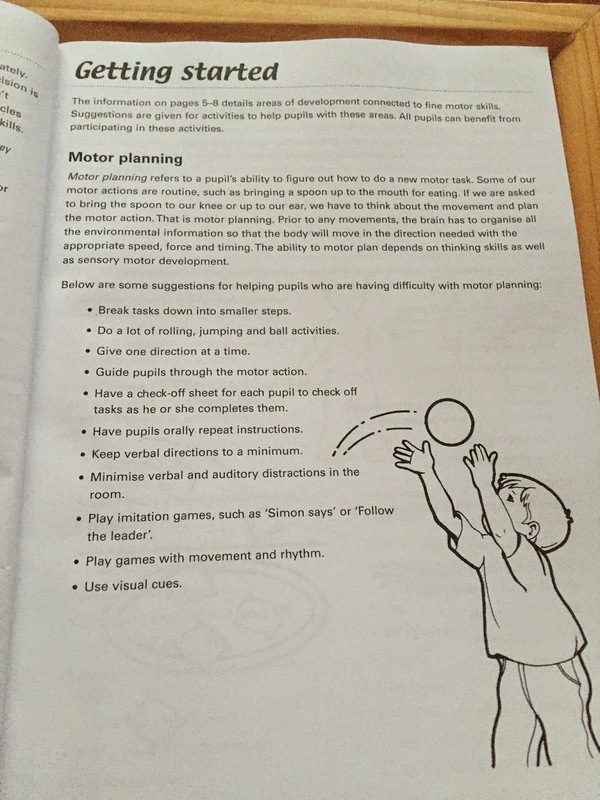 The first section gives information about fine motor skills and a short summary and key activities to support children with the development of skills in the areas of motor planning, bilateral integration and crossing the midline, body awareness and tactile awareness. 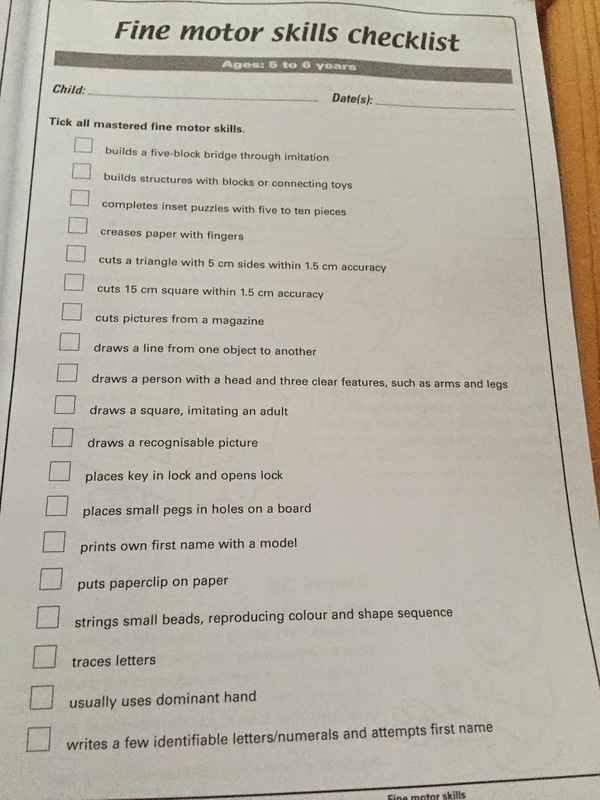 There are 2 handy checklists which show the ‘typical’ development of fine motor skills for 4-5 year olds and 5-6 year olds. 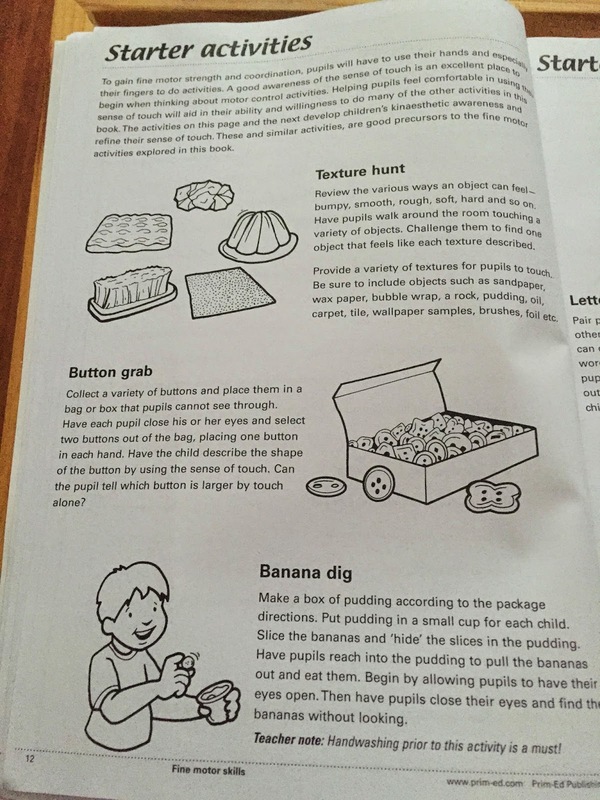 The book is then divided into sections – ‘Shoulder and Wrist’, ‘Wrist and Hand’ and ‘Hand and Finger’ activities. 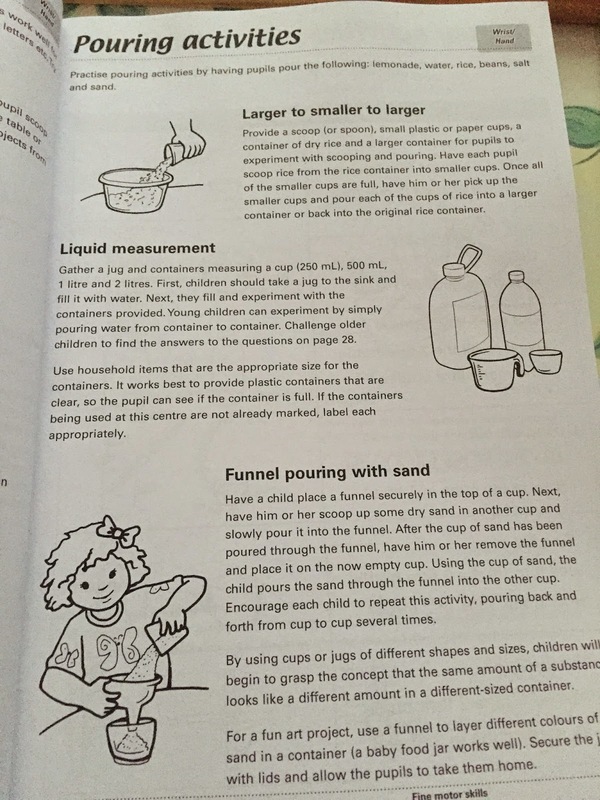 Each section has a list and explanation of a variety of hands on activities to help strengthen and improve each of these areas and help children to develop their fine motor skills. 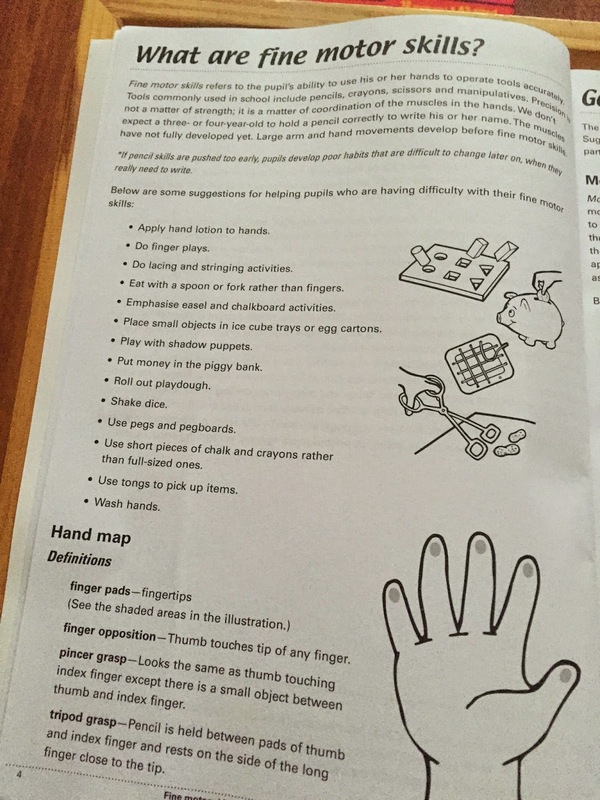 There is a section on ‘finger plays’ which could be integrated with music, drama, art and maths! 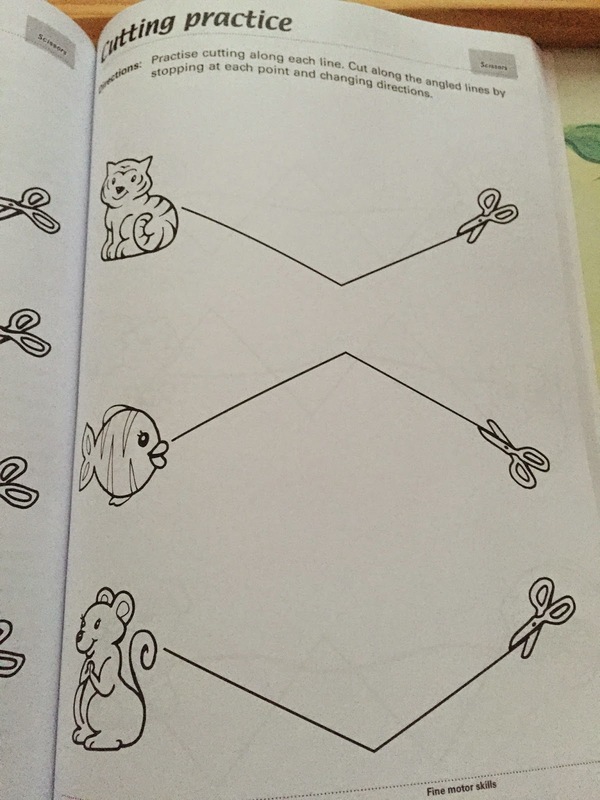 There is also a fantastic section on cutting. 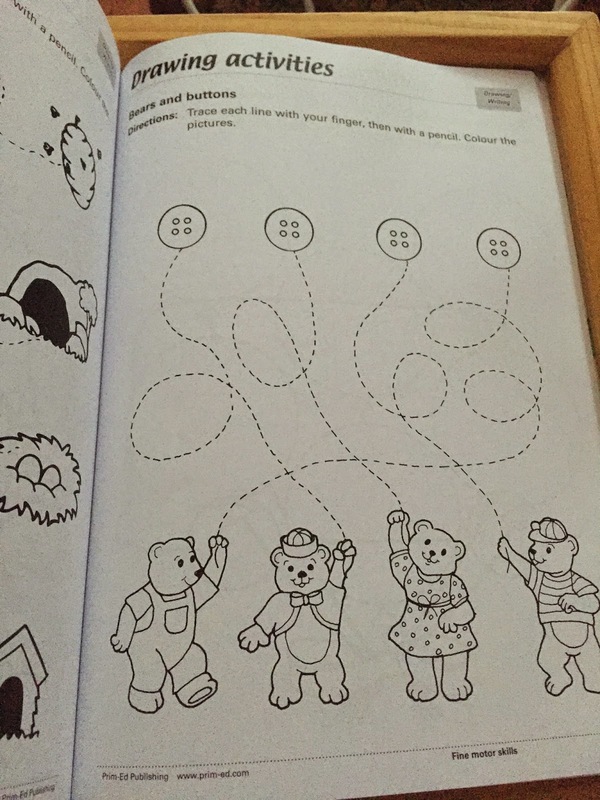 The first few pages have different lines which the children have to cut. 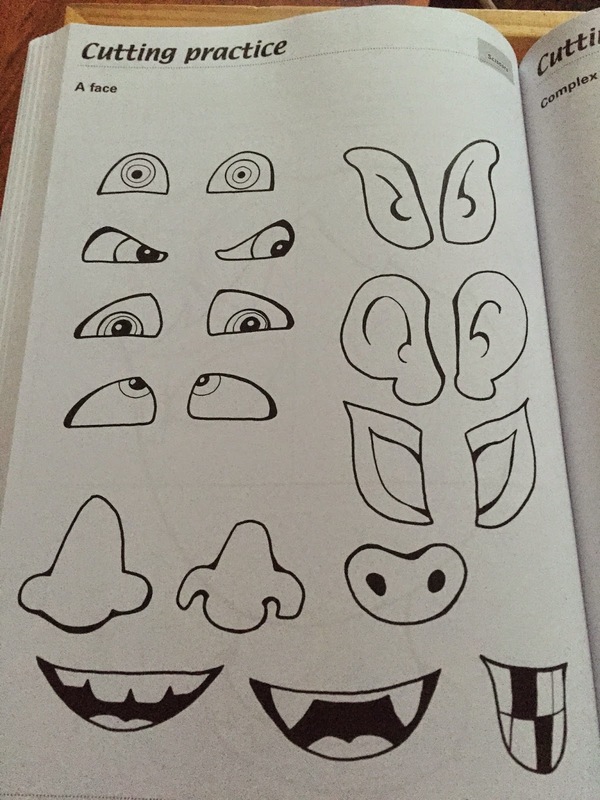 It gets more advanced – this would be a fantastic art lesson. 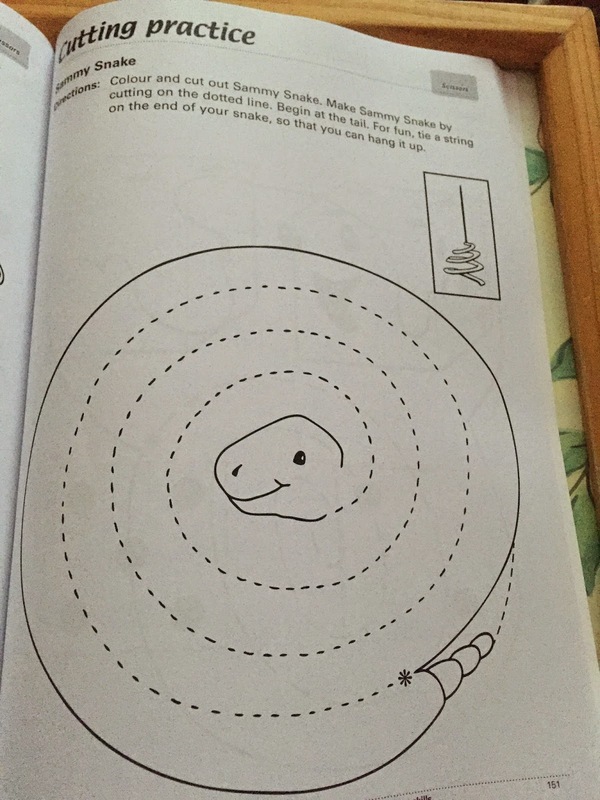 The children could colour the snakes and then create swirling snakes! 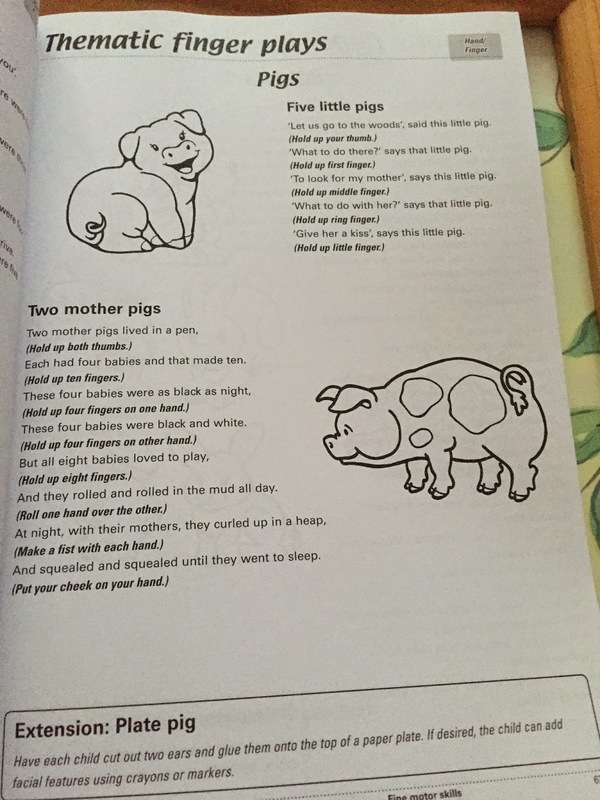 This page could be integrated with Gaeilge – Eadaí theme. 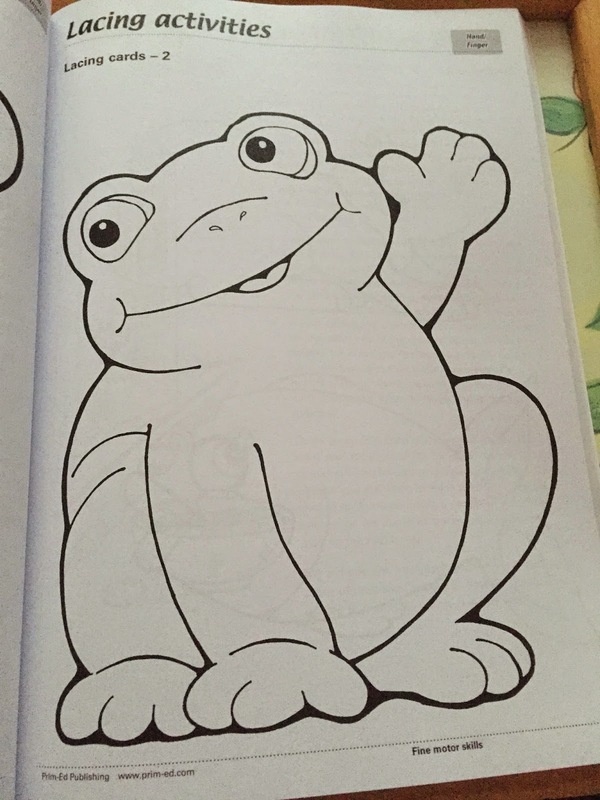 Cuir _______ ar Teidí. 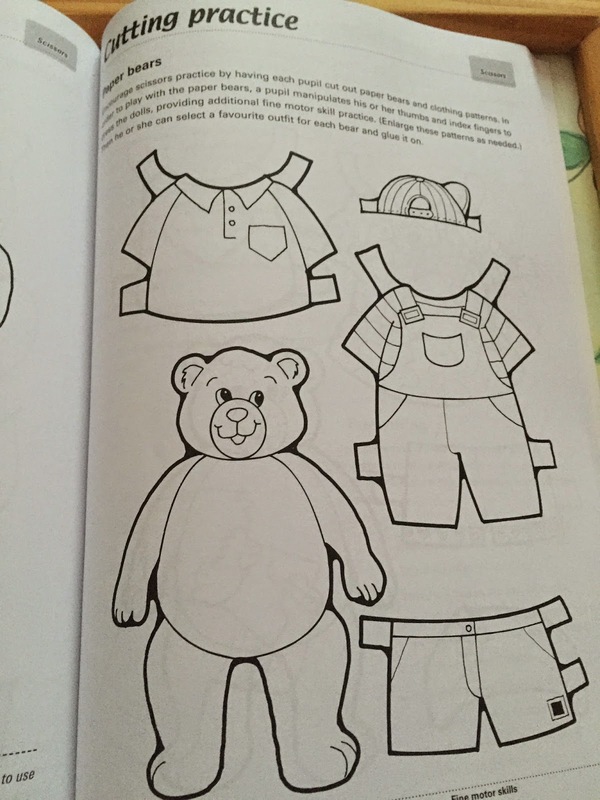 There is also a section with drawing activities! 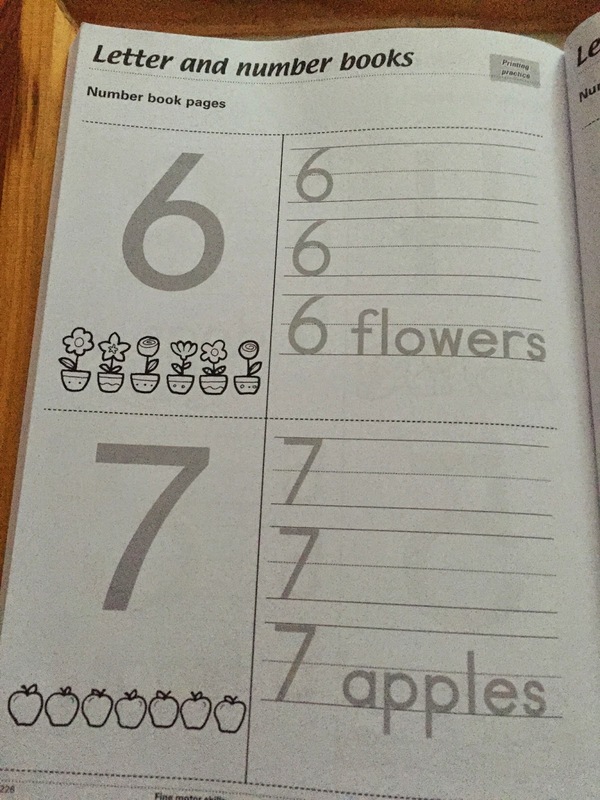 And perfect letter and number booklets! 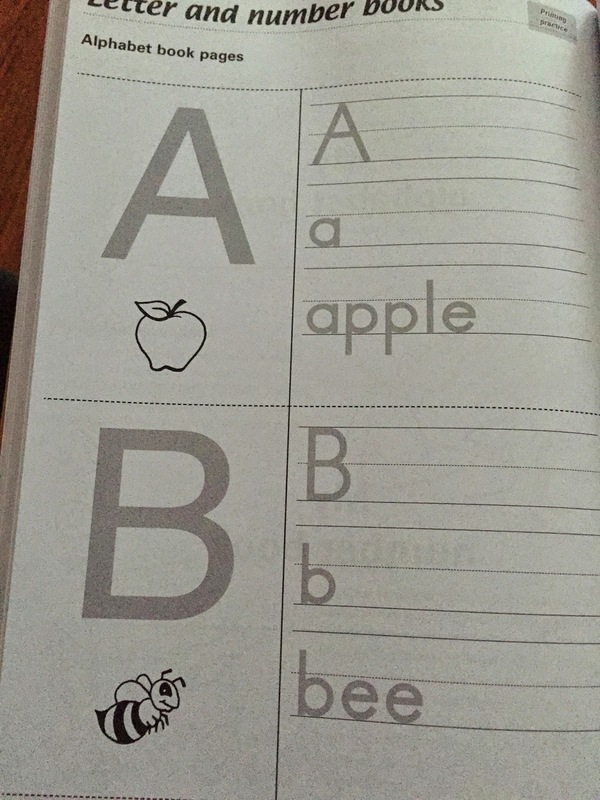 Great for infant classes or for letter/number practise. 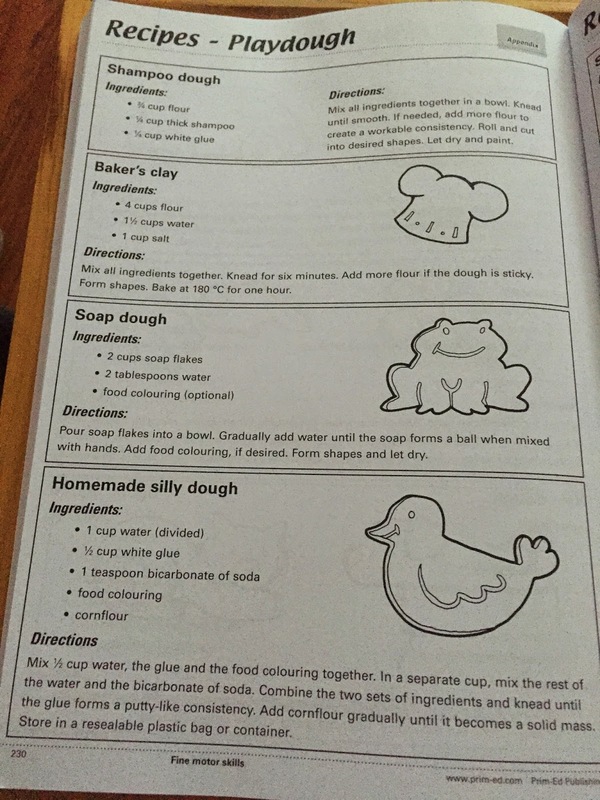 There is also a section at the end with play dough and paint recipes! Overall this is another fantastic resource from Prim Ed. 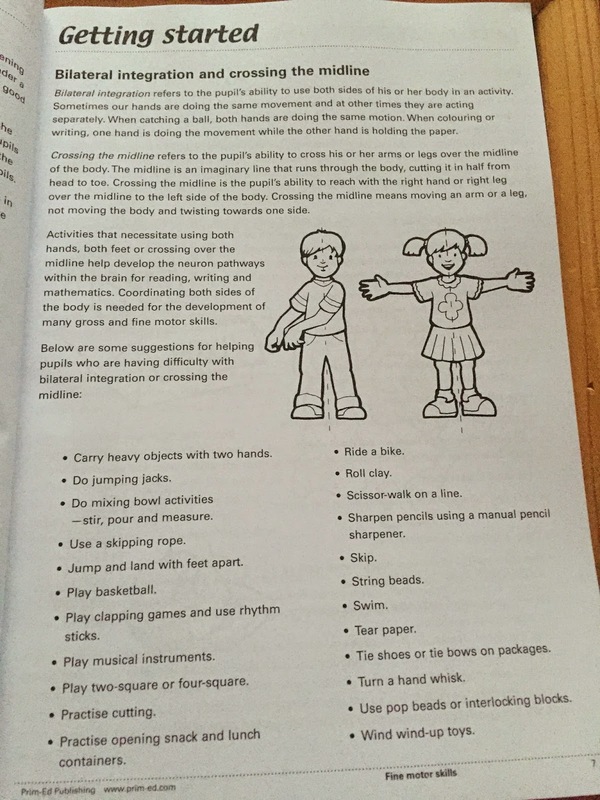 Although it is aimed at infant teachers, the activities are suitable for all in junior schools and can be adapted to suit children in senior classes. 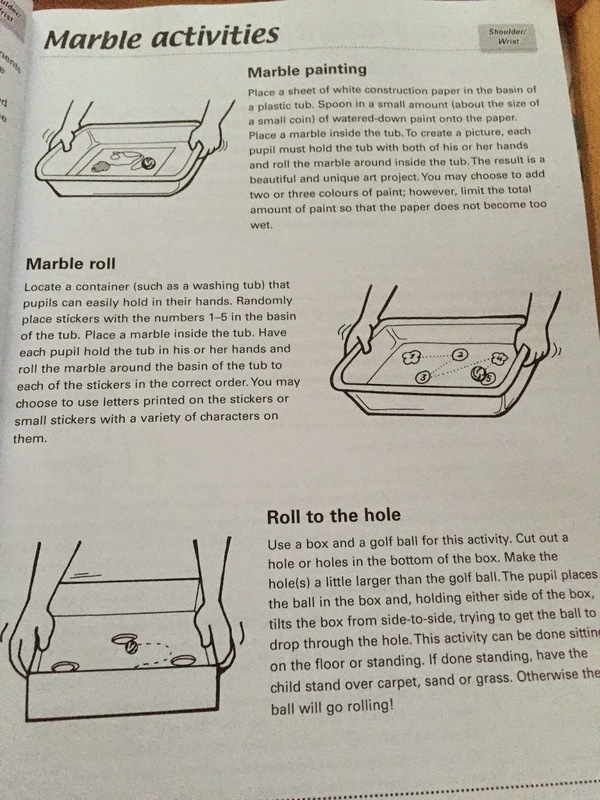 I have also been using the activities to support children in the resource setting. 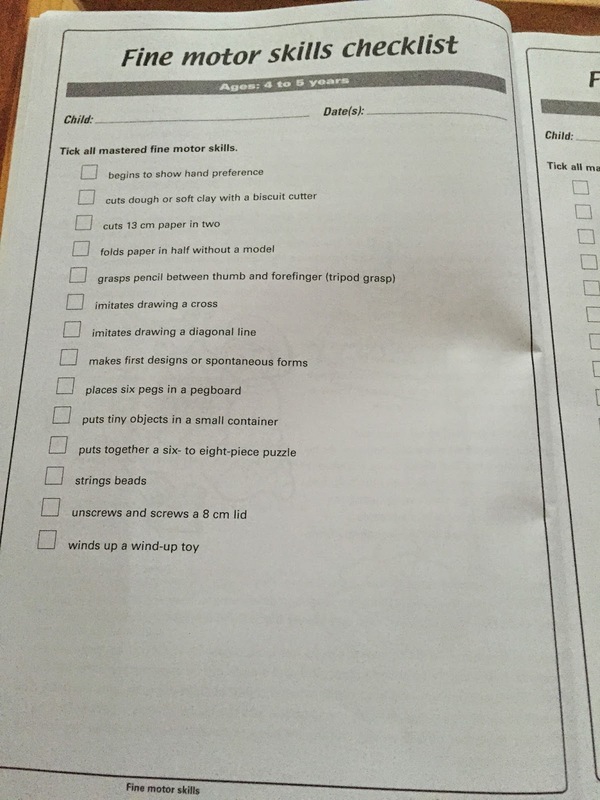 There are many photocopiable resources which can be laminated and used again and again. 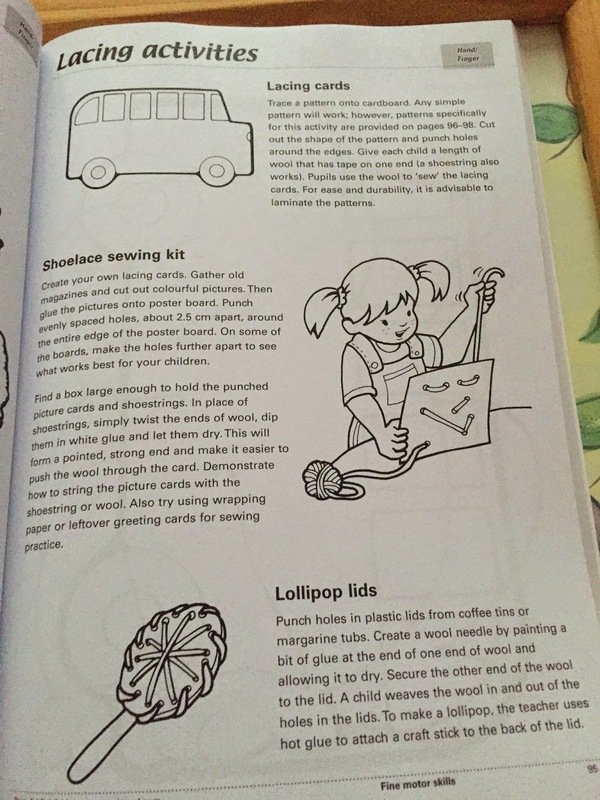 The ideas and materials suggested are cheap and lots of reusable items that you would have it at home!